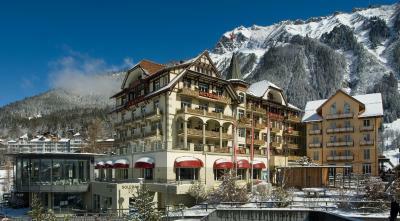 Lock in a great price for Arenas Resort & Spa Victoria-Lauberhorn – rated 8.8 by recent guests! Excellent swimming pool and steam room. Plenty of choices at breakfast. Great location 1 minute walk from train station and 2 minutes to gondola. The view from the room was amazing. The 5 pm wassail by the fire was very fun. The resort had many relaxing places and games. The ski room and special entrance was very helpful. The spa was also a delight. The staff was very helpful and guided us to several good restaurants in town. The bar and spa staff were also wonderful. Clean and comfortable. The location was really great to walk to everything, including the train across the street. We woke up at 830. Showers and packed and ate breakfast at 930. Checked out and on a 1003 train. The spa area was much nicer than we anticipated! We even braved the cold plunge after the sauna...twice. The waterfall was an amazing massage experience. We loved how handy the location was to the train station and village areas with shops and restaurants. We used this hotel as our base for three nights to tour the area and visit nearby Jungfraujoch- the highlight of Swiss. The hotel breakfast each morning was delicious and filling. After exploring and hiking all day the large indoor pool and spa refreshed us! The staff was excellent and friendly. The extra time to check out was a bonus! The dinner and breakfast were fantastic! The sauna and the pool was great. The silence zone had a great view and we definitely could relax and asleep for a couple of minutes! I just love it! Almost everything about it. Would recommend u guys to stay here. Esp those who wants to experience mountain stay. The pool is one of the best and you can see snow capped mountains while you swim. 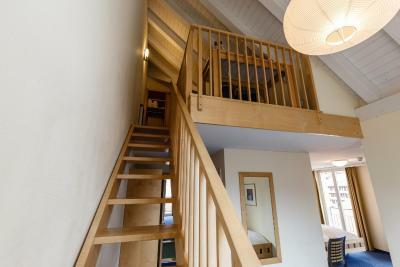 The location is excellent overlooking the Lauterbrunnen Valley and next to the train station. Fantastic location in proximity to train station. Helpful staff and overall nice property! Arenas Resort & Spa Victoria-Lauberhorn This rating is a reflection of how the property compares to the industry standard when it comes to price, facilities and services available. It's based on a self-evaluation by the property. Use this rating to help choose your stay! 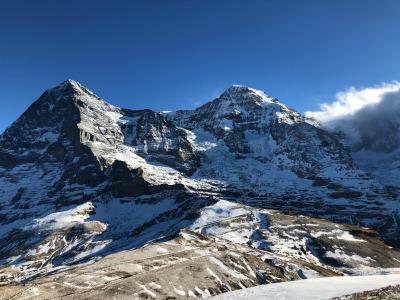 The Arenas Resort & Spa Victoria-Lauberhorn, built in 1897, is centrally located next to the train and cable car station of the car-free Wengen and features up-to-date spa facilities including a swimming pool. The Alpine Spa provides various treatments and includes a swimming pool, a sauna, a steam bath, a gym and a salt-water bath (33°) with massage showers. For guests looking for active leisure pursuits, sport facilities for tennis, curling, skating and mini golf are reachable on foot from the Arenas Resort & Spa Victoria-Lauberhorn. When would you like to stay at Arenas Resort & Spa Victoria-Lauberhorn? These north-facing rooms offer views of the village and the church of Wengen and come with a bathroom with a shower, a TV and a safe. Please note that the maximum occupancy is 1 guest. There is no capacity for extra beds or baby cots. Children cannot be accommodated in the parents´ bed. North-facing room with views towards the village and the church of Wengen. Please note that the maximum occupancy is 2 guests. There is no capacity for extra beds or baby cots. Children cannot be accommodated in the parents´ bed. Facing east or south-west, these rooms offers views towards the village and the Männlichen Mountain. Some units feature a balcony, as well. South-west-facing room with a balcony, offering views of the Jungfrau Mountain or the Lauterbrunnen valley. Please note that the maximum occupancy is 3 guests. 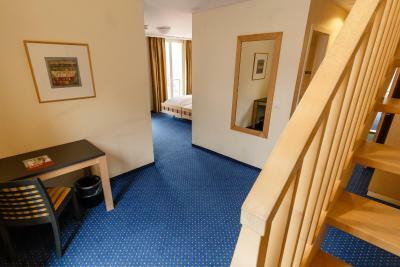 Extra beds and baby cots are not available and children cannot be accommodated in the parents´ bed. Please inform the property of the total number of children and their ages prior to arrival. You can use the Special Requests box when booking or contact the property. This room comes with a TV and a safety deposit box. Please note that the maximum occupancy is 5 guests. Extra beds and baby cots are not available and children cannot be accommodated in the parents´ bed. House Rules Arenas Resort & Spa Victoria-Lauberhorn takes special requests – add in the next step! Arenas Resort &amp; Spa Victoria-Lauberhorn accepts these cards and reserves the right to temporarily hold an amount prior to arrival. Arenas Resort & Spa Victoria-Lauberhorn accepts these cards and reserves the right to temporarily hold an amount prior to arrival. Please inform the property in advance of the number of guests arriving. If you´re traveling with children, please include their age. Contact details are stated in the booking confirmation. The hotel does not accept American Express and single currency credit cards to guarantee your reservation. The hotel recommends to book massage treatments before arrival. Please note that you cannot check in from 22:00 to 08:00. Very friendly staff, excellent location, good breakfast, spacious and good room for 5 people. Very cosy, back to 80’s atmosphere. This hotel, can be enjoyed by kids, young people, parents and grand parents at the same time. The train station is just a 4 min walk and the ski renting shop is just in front of the hotel. Extreamly friendly staff members. Good breakfast and dinner menu. Nice wellness area, highly recommended after a long day on the ski slopes. We didn't get to stay longer. Staff was excellent. Nice pool and sauna. Some surprising penny pinching - poor quality duvet/pillows, charge for tap water in restaurant. Rooms are poorly sound proofed so noisy neighbours can be a problem - need to make all guests aware of situation and insist on quiet after 23.00. Large number of guests, so restaurant can get very busy. Excellent in many ways. Location in Wengen could not be better. 3 minute walk to station. Cable car almost opposite. Next door to ski hire. Can ski to within 300m of the hotel. Outstanding pool/spa. Helpful and friendly staff at reception and in the restaurant. Able to buy lift pass directly from reception and pick up just 10 mins later. Good quality restaurant. Half board is a good value option. Good shower and bathroom. Impressive views at supplement. Free Wifi worked very well considering the number of guests. Wellness facility which is very child friendly and great breakfast. Location and facilities. Great breakfast too.